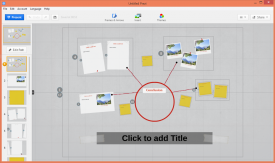 "Prezi is a popular presentation software made to simplify presentations." 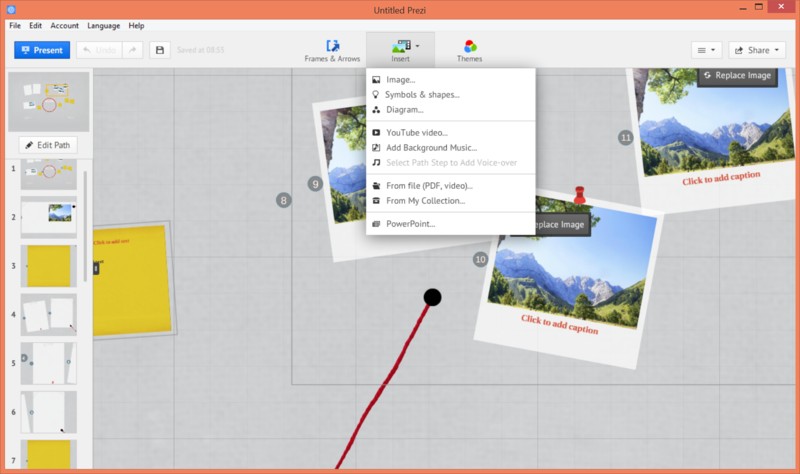 Prezi has come a long way from it's first days on the internet as a simple PowerPoint alternative. It was once only accessible through an internet connection and the site was not the friendliest. 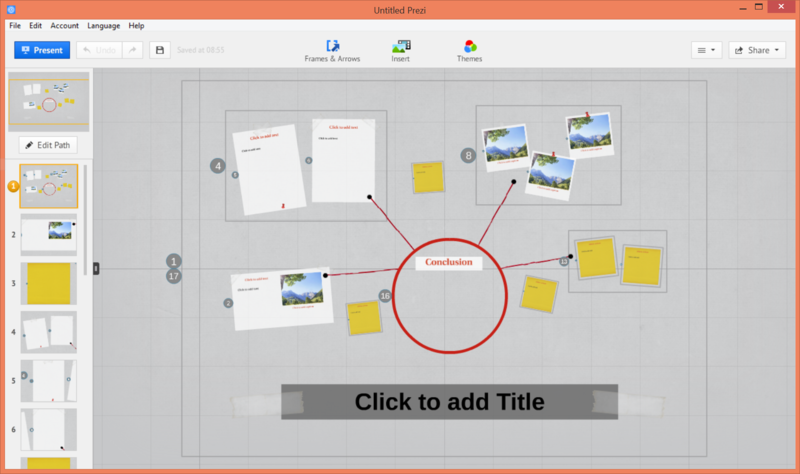 However recent changes and improvements to Prezi now make it arguably one of the best and most popular presentation software. With Prezi for Windows, you no longer need an active internet connection to work on, or to show your presentation. Everything is accessible offline. Your offline Prezis will sync to your Prezi cloud storage upon the next active connection to the internet. Now that Prezi can run natively in Windows, the performance has received a bit of a boost as well. Because data isn't constantly streaming over the internet while you conduct your offline presentations, Prezi now has one less thing to worry about and can focus solely on the speed and performance of the application. Prezi is no lightweight application either. It is very complex and feature rich. Choose from hundreds of combinations of fonts, shapes, and colors to accurately convey your point. Import music, pictures, and other media at the click of a button. You can also easily incorporate Youtube videos within your presentation. Prezi can even play your Youtube videos when you are presenting offline. 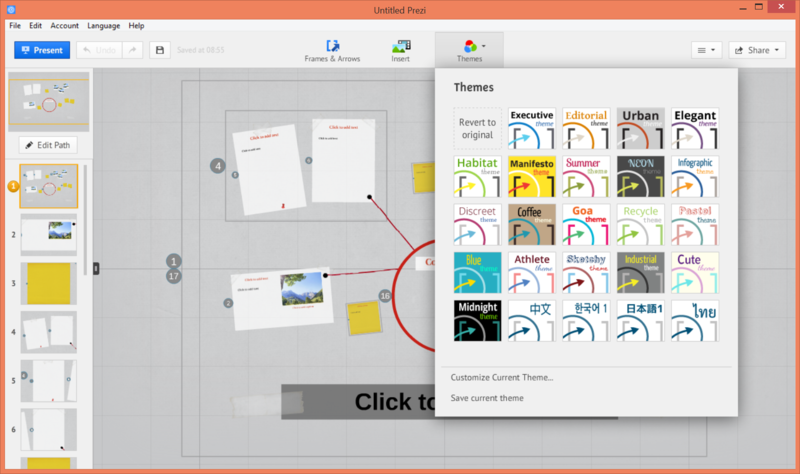 Download Prezi today to transform your presentation experience.